Yet another interesting podcast from the Financial Times and from their wonderful Tehran reporter Najmeh Bozorgmehr. In it you hear how life in Iran, especially in Tehran is becoming more expensive. One person who was interviewed said that a middle class family needs to earn 10 million Toman = $3700 per month to maintain an honourable lifestyle. And whats the average income in Tehran? According to the recent government statistics, average yearly income for families living in cities in the Tehran province is 22 million Toman = $678 per month. 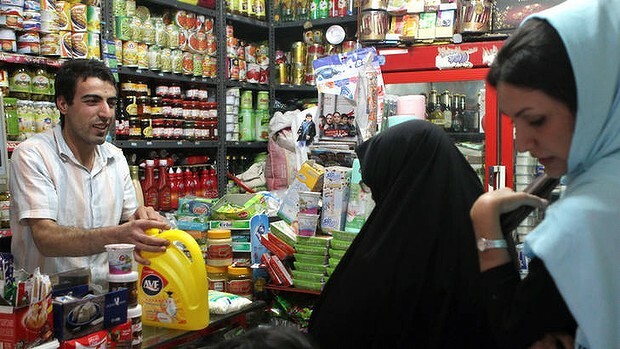 Life in Iran is becoming more expensive, one of the reasons being inflation. This makes it even more important for the people of Iran that sanctions are removed, as soon as possible. ← Reported #Israel attack against #Hezbollah: why now?